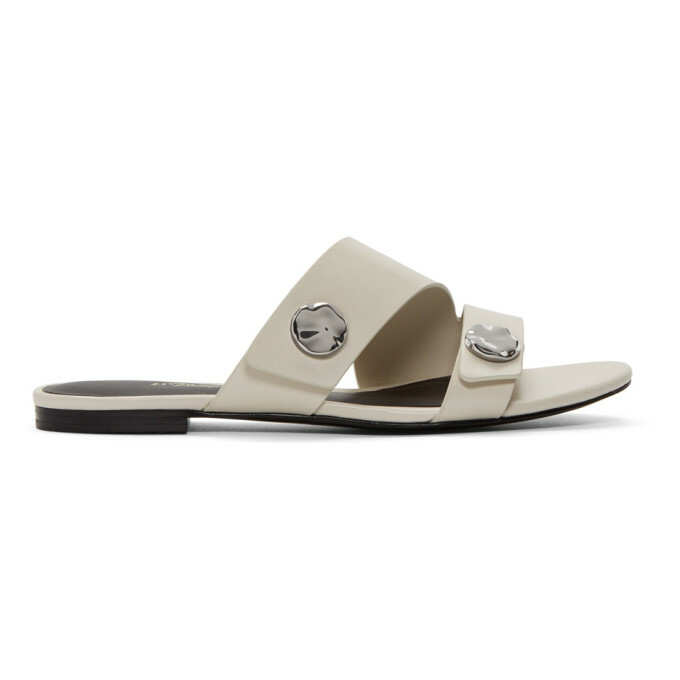 Buffed leather slip on sandals in pale grey. Open round toe. Straps featuring silver tone hardware at vamp. Gold tone logo stamp at black leather footbed. Black leather and rubber sole. Silver tone hardware. Tonal stitching.